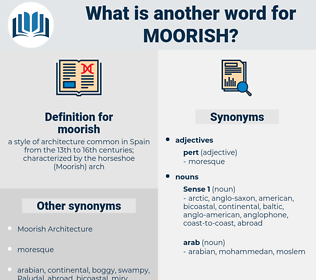 What is another word for moorish? From the ceiling hung Moorish - looking lamps, which gave almost no light, and, were of rather dilapidated appearance. 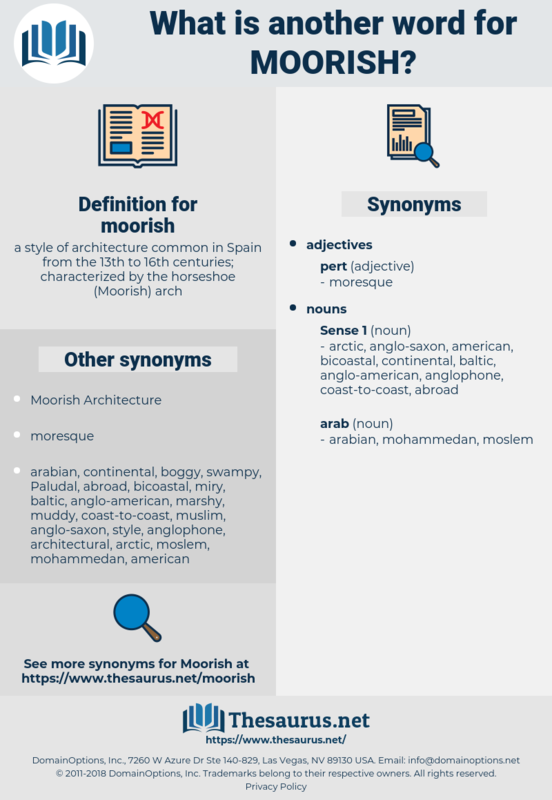 marche, manners, memorize, marshy, moorage, maharaja, march 17, minors, man-on-a-horse, maraca, marquise, marque, Mauriac, margay, maracay, marruecos, marks, marsh, markka, march, merckx, mayoress, mirage, morus, march 25, marcuse, marquis, monarchy, myrica, march 2, morgue, mars, menorrhagia, marsh hawk, mariachi, mercy, maharajah, minor axis, margosa, maraco, moorcock, monarch, mirish, morris, marc, mors, maroc, manor house, morse, marquess, memory access, Mrs., morose, march 19, morrigu, marasca, mergus, merge, marquee, marches, mirky, morass, morocco, marsh gas, marriage, mrs, mark, myricaceae, mores, myrrhis, memorise, marge, myrcia, marrow squash, murky, minor key, moresque, marceau, memory cache, moraceae, murk, moraceous, menarche, marrakesh, marx, morceau, monarchic, marrakech, maurois. architectural style, style of architecture, type of architecture.